We use virgin coconut oil in our products because it really is one of the most powerful natural beauty tools out there! Whether you’re using coconut oil for acne, dry skin, parched hair, or in your favorite recipes, it’s just about the most versatile ingredient in your pantry. It doesn’t have to do all the work, however. By adding a few simple ingredients, you can make your own great-smelling beauty products that don’t contain any of the nasty chemicals you’ll find in the bottles on drugstore shelves. Here are just a few simple suggestions to get you started! Body scrubs are expensive to buy in the store, but by blending a few simple ingredients with coconut oil, you can make them yourself! Coconut oil, sugar or salt, and a few drops of essential oil are all you really need to create a hydrating scrub that will exfoliate and leave your skin silky smooth. Some recipes even use fun exfoliating ingredients like ground coffee! 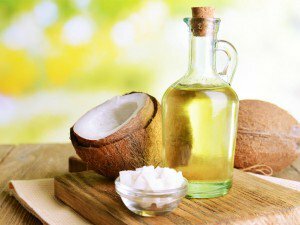 People who practice oil pulling know that coconut oil has great tooth-whitening benefits. You don’t have to swish oil around in your mouth every morning to see the benefits, however. Instead, try making a simple toothpaste, using coconut oil, baking soda, peppermint essential oil, and a little salt. Coconut oil toothpaste is fluoride-free and cleans teeth naturally! The baking soda helps to clean and neutralise the mouth in addition to the oil, leaving you feeling fresh after rinsing. Coconut oil is great for the skin all by itself! All you have to do to transform it into a luxurious lotion or, lotion bar, or body butter is to blend coconut oil with a few drops of your favorite essential oils (and some vitamin E if you like) and experience the magic for yourself! There are endless options for different formulas—try mixing coconut oil with cocoa or shea butter for ultimate hydration! Use after a bath or shower to restore the skin’s moisture and lock in soft, smooth skin. Aluminium is a nasty additive to most anti-perspirants. To avoid it, most people give natural deodorants a try. But guess what? Most of the time, those formulas aren’t very effective. If you’re skeptical that a homemade version could be better, just give it a try! The application process can take some getting used to, but many people swear by coconut oil deodorant (it can even work better than commercial formulas!). Best of all? You are in charge of the fragrance. Razor bumps…ouch! 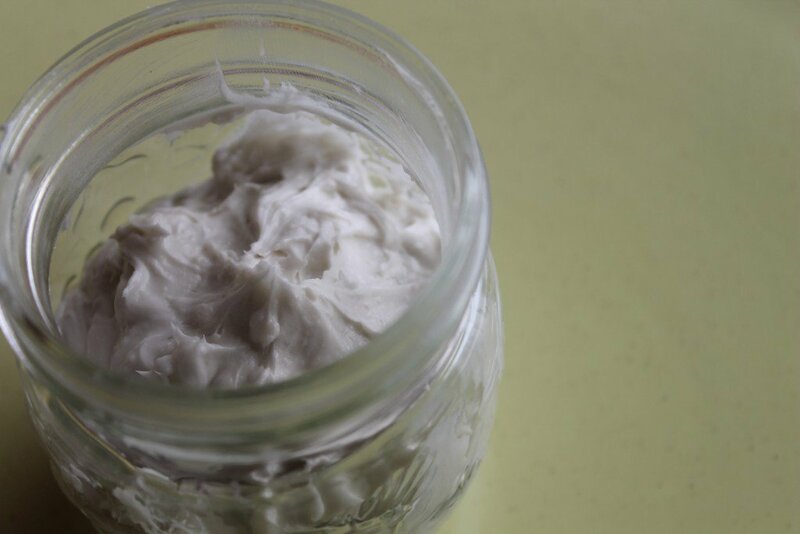 Coconut oil can play a starring role in your homemade alternative to commercial shaving creams. Soothing and protective, mixing coconut oil with a few other simple ingredients like shea butter, essential oil and baking soda will help you get smooth skin without the nicks and bumps. Plus, whipping it up with the hand mixer is a lot of fun! Lip balm is a great staple to keep in your purse, and can make a great stocking stuffer! Mix coconut oil with beeswax and your favorite essential oils for a hydrating balm that smells great and keeps your lips soft and supple. Coconut oil for acne may sound strange, but its cleansing and antibacterial properties can calm troubled skin and help treat acne. Some use it straight from the jar, while others mix the oil with essential oils like tea tree oil, a common acne-fighting ingredient. If you suffer from breakouts regularly, it’s worth giving this remedy a try. Not all coconut oil is created equal. Do your body a favor, and only choose a high-quality, pure virgin coconut oil for your homemade concoctions, like our Biconi Virgin Coconut Oil. Most of these recipes only feature a few ingredients besides coconut oil in its starring role, so your final product will be affected if you go for a low-quality option. Refined oils don’t pack the punch virgin oil does, so don’t skimp on your coconut oil! The same goes for essential oils. Try to find high quality, cold-pressed oils (organic when possible) for best results. Aside from being easy to make and a lot of fun to whip up, coconut oil beauty products make great holiday gifts! You’ll feel good knowing you’re gifting something friends and family can use and benefit from. Play around with the fragrances you use, and personalize your gifts based on individual tastes (just be careful not to offend—your cousin might not think homemade deodorant or coconut oil for acne is so thoughtful!). It’s easy to dress up these recipes in festive wrappings, and your homemade gifts could become favorites this holiday season!